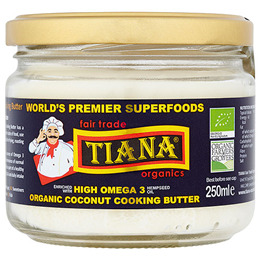 A smooth, creamy, all purpose TIANA Fair Trade Organic Omega 3 Coconut Butter is the ideal alternative to vegetable oils, margarine and goose fat for all cooking and baking. It is also perfect for deep frying as it does not alter the taste of food. For all cooking and baking. Perfect for deep frying as it does not alter the taste of food, use as healthy substitute for cooking oils, margarine or goose fat for all frying, roasting and stir-frying or baking. 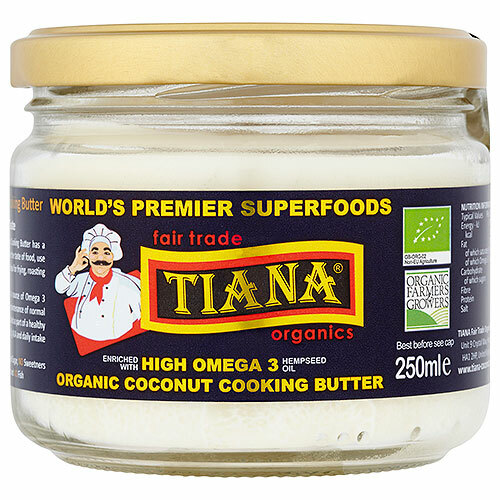 Below are reviews of TIANA High Omega 3 Coconut Cooking Butter - 250ml by bodykind customers. If you have tried this product we'd love to hear what you think so please leave a review.